Our family goes to New York City every year at Christmas time, and the trip never disappoints us. This year, our first stop is Radio City Music Hall for the Christmas Spectacular broadway show. The rockettes and Santa all put us right in the Christmas spirit! The show is amazing but nothing will ever match the joy and excitement I saw on my two little kids' faces. I feel this was one of the greatest Christmas presents that I've ever given to them. We left home a little bit late at 7:50am. The show got started at 9:00am right after we were seated. It is interesting that Katie, Suri, and Tom went to the show on the same day. The show was over approximately at 10:30am. We went to F.A.O Schwarz toy store. 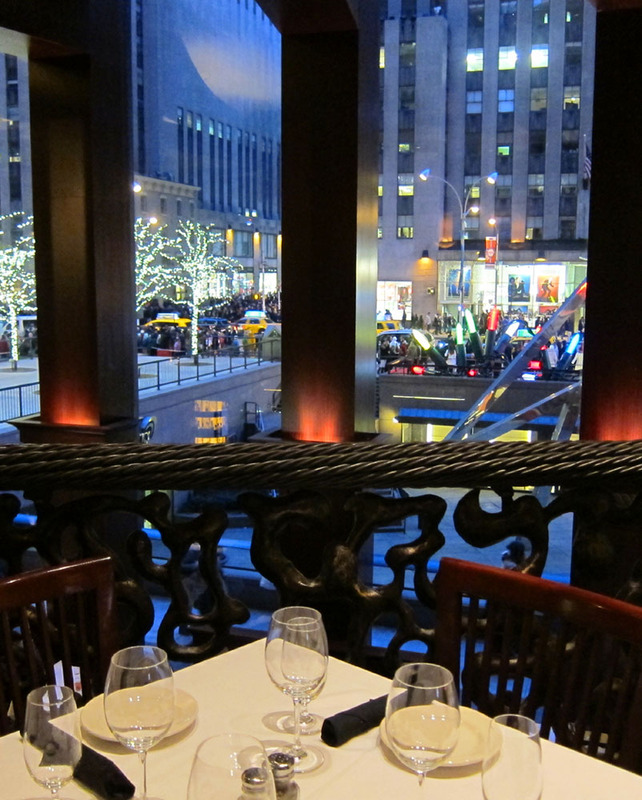 It is on the 5th Ave. 58th Street, about 7-8 blocks from Radio City. 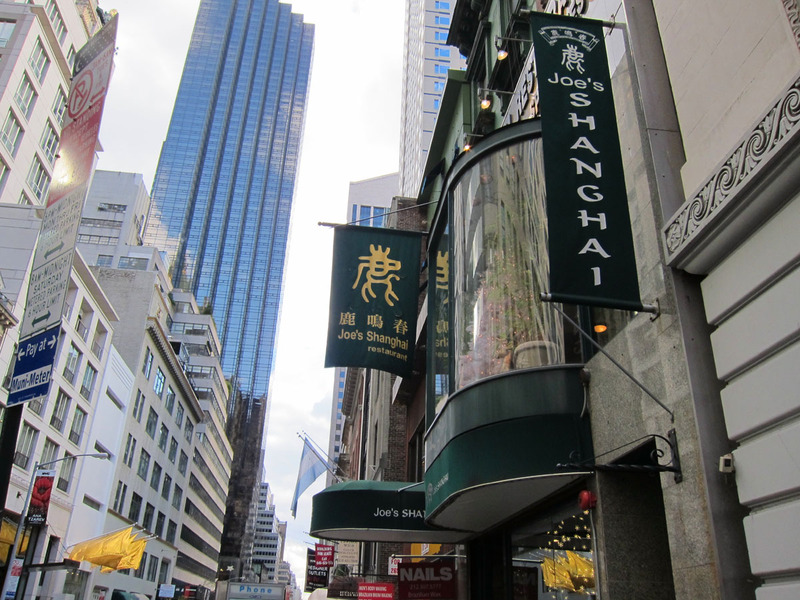 12:00pm - Lunch at Joe's Shanghai 鹿鸣春 on the 56th Street, between the 5th and 6th Ave. "5" and "6", easy to remember. If you are shopping around in that district, it is a convenient place to go. Their featured dish is Crab Meat and Pork Steamed Buns 蟹粉小笼包. Highly recommended. 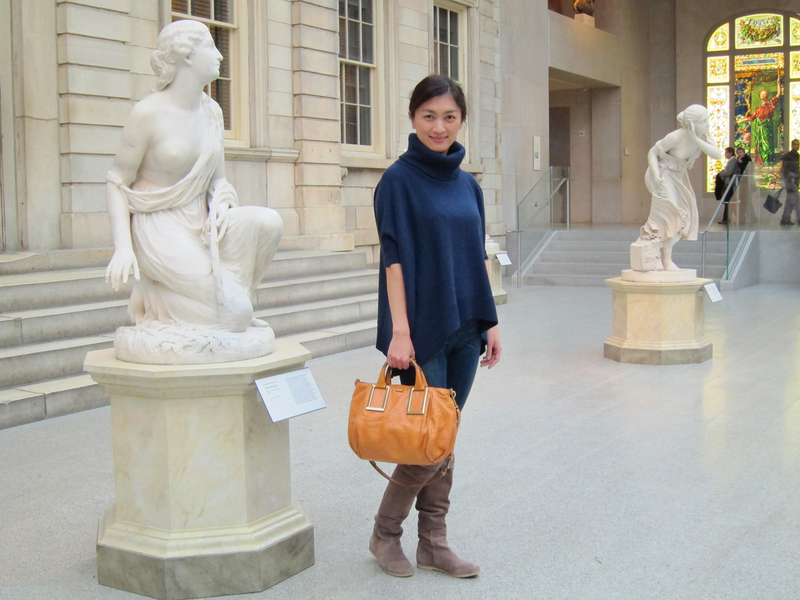 2:00pm - We arrived at our next stop Metropolitan Museum on the 79th Street. The weather is chilly yet sunny. We took a path in Central Park and right across Central Park Zoo. I was proud of the kids and they enjoyed walking with us for these 20 blocks and more, not short for them. 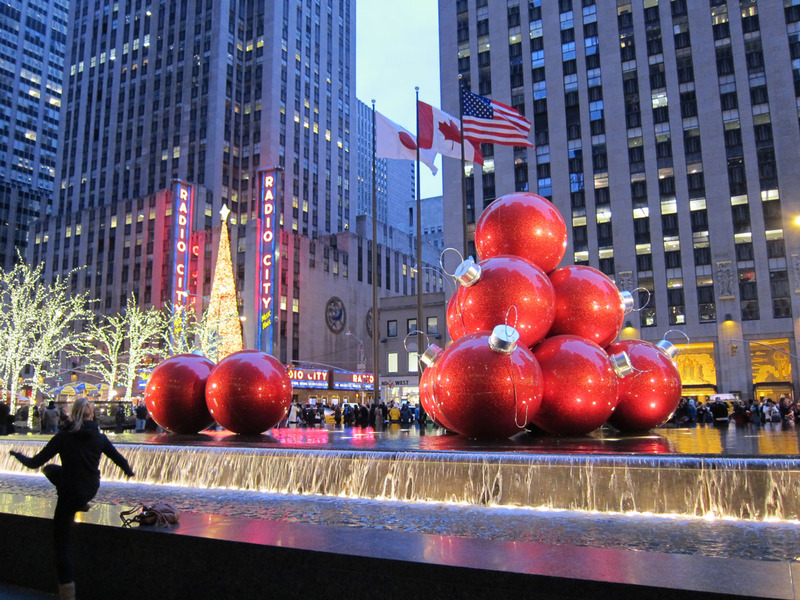 5:00pm - We were back to Rockefeller Center area for Christmas Tree Lighting. It is exciting even though we come here every year. That is the glamour of New York City where you find new things and have new feelings at different time. 6:00pm - Dinner at Del Frisco's Steak House. We were so lucky that the seats we sat on last year were still available. It has a great view to the Ave. of the Americas(6th). Looking at the decorative and festival lighting through the huge window glass, my 4-year-old son gave his best comment: "Mommy, today is my best day ever! :-)"
Hi Michelle: It is great to see you and your family had a wonderful time in NYC. BTW, the SA from the CH store called yesterday. They no longer have my size. Thank you anyway! Thanks for sharing! I miss NYC. Your pictures remind me a lot of fond memories. Thanks for your detailed journal so i have some idea of how to spend a day before Xmas next year in NYC. BTW, i love your outfit , simple but elegant. Is food at Del Frisco’s Steak House very expensive? Do you have any heavily recommended food to us? You can download the pdf menu from their website and it has the price on it. We ordered the VIP, crab cake, asparagus, classic caesar salad, pan-roasted sea bass, pan-roasted chicken, and desserts. You may have to call to reserve the seats in holiday seasons. Enjoy and Merry Christmas! So glad my trip gave you some inspiration. Wish you a happy holiday!